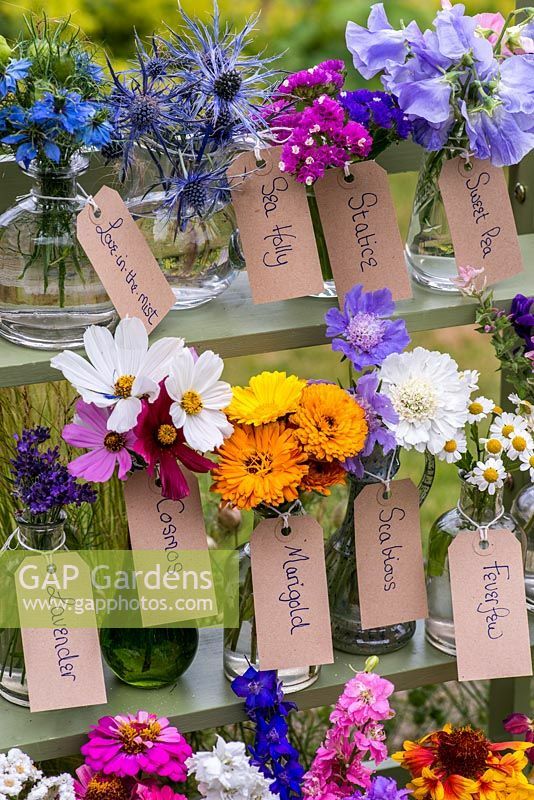 Glass jars and bottles filled with cut flowers grown in the garden. Pictured from left to right - love-in-the mist, sea holly, statice, sweet pea, lavender, cosmos, marigold, scabious, feverfew. Image 0506014 has been added to your cart.